Documentary filmmaker Morgan Spurlock (Super Size Me) quickly follows up on his recently released Comic-Con Episode IV: A Fan’s Hope with a look at the grooming habits of the modern male. Mansome plays out as a series of vignettes, ala Michael Moore’s TV Nation, that cover various aspects of the male physique. We follow champion beardsman Jack Passion as he pits his impressive facial hair against the world’s top competitors. We learn the complicated grooming habits of a Middle Eastern professional wrestler. We attend a focus group alongside the creator of the antiperspirant Fresh Balls (self-explanatory). An obsessively vain, self-proclaimed metrosexual discusses his never-ending quest for perfection while old-fashioned barbers defend their antiquated shops with the passion of a film purist. The topic-based segments are interspersed with some brief comedy courtesy of the likes of Adam Carolla, Zach Galifianakas, and John Waters as well as an ongoing visit to the spa alongside Will Arnett and Jason Bateman. The Arrested Development co-stars self-consciously riff on the silliness of it all while simultaneously embracing what was previously known as their inner femininity. 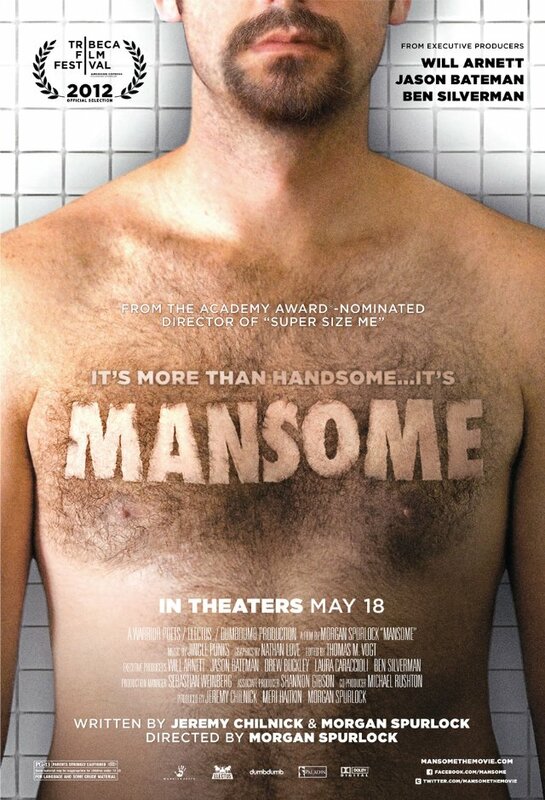 While it doesn’t have the emotional impact of Comic-Con or the memorable gimmickry of last year’s The Greatest Movie Ever Sold, Mansome will surely stand the test of time as an important document of the early years of modern man grooming. Mansome opens today at the Ritz East.